In this webinar, learn how even the most complex environments can be addressed when it comes to building a data lake—successfully. Data lakes are created across industries and to support many use cases and often combine data from multiple sources. Sensor-generated data, logs, and social media sources may plan an important role in many data lakes, but also ERP, SCM, CRM and other (packaged and home-grown) applications are important sources. With many different sources and data types, and a sheer infinite number of use cases to use the data in the data lake, how do you make sure your data lake can service the business needs? How would you build a data lake for maximum flexibility? In this webinar, Mark Van de Wiel, CTO HVR, will talk about strategies customers adopt to continuously feed data lakes. He also will discuss security and the ability to easily leverage multiple analytics services. Sam Khidhir, AWS Solutions Architect, will discuss why S3 is a common Data Lake destination for complex scenarios such as this and why it allows for maximum flexibility. • The importance of data quality — what is required so that you and your teams can trust the data and why this is imperative? • How to leverage several AWS technologies to support multiple use cases with continuous, real-time, data Register today. In this webinar, learn how popular e-commerce site, ASOS, adopted the Azure cloud for real-time analytics. Hear their solutions architect discuss their data integration challenge and how they overcame it with selected technologies. GoEasy, a Financial Services company based in Canada, provides consumer loans with a promise of fast decision making. In this webinar, Anu Oladele, Director of Data Science & Business Insights–GoEasy and Joe DeBuzna, VP of Field Engineering—HVR, will discuss how they worked together to architect a solution that enabled GoEasy to achieve real-time business insights and faster loan processing speeds. They will discuss the business use case, their process, and share a technical overview of the solution developed as well as plans for scaling their solution. Are you using SAP ECC or SAP Hana? In this webinar, learn how HVR technology enables you to capture data continuously from these systems for real-time analytics from your destination of choice. Integrating data into the AWScloud for real-time analytics require some considerations as to how to do it successfully. In this webinar, HVR CTO, Mark Van de Wiel talks about best practices HVR customer have employed in order to ensure successful ongoing data integration into the AWS cloud. How do you make sure your data is bit correct in the source and target systems? In this video, learn how the Big Data Compare feature in HVR enables you to make sure your data is correct and in sync. VP of Field Engineering, Joe deBuzna, explains how the Big Data Compare function works in HVR, why it is important for your business, and how it can identify and mitigate errors. Bi-directional data movement need not be feared when using HVR for real-time data integration. In this video, Glenn Goodrich, Director of Enablement, explains how bi-directional data movement can be accomplished efficiently, accurately, and in real-time with HVR. Analytics have evolved from "what HAS happened" to "what WILL happen" to "what SHOULD happen." Having the ability to predict the future relies on the orchestration of systems in order to have the ability to provide the right information at the right time. In this video, HVR CTO Mark Van de Wiel discusses how predictive analytics can allow for a more efficient business future. He shares a scenario in which a data lake, HVR and data can be used for predictive analytics. “Data Lake is a concept, not a technology” is a common quote we hear about Data Lakes. Data Lakes are most definitely a concept in how companies manage growing volumes of data sources and types. The technologies selected are a realization of this concept. So where to start? In this webinar, learn about technologies that have served as a data lake for some of the largest organizations in the world. These organizations have used different technologies and strategies for managing their data lake. At HVR, we help these organizations integrate their data from multiple sources into their data lake. In this webinar, HVR VP of Field Engineering, Joe De Buzna and CTO Mark Van de Wiel, share customer successes, challenges, and technologies used in their data lake projects. Matt Aslett of 451 Research joins our CTO, Mark Van de Wiel, to discuss why organizations are flocking to the cloud, considerations for adopting a cloud strategy and how a cloud strategy can enable better business agility. Get insights on data lake best practices from data integration experts, Mark Van de Wiel, and Matt Aslett of 451 Research. Learn about what defines a data lake, how to build a purposeful data lake and common business use cases for a data lake. A Data Lake is a destination for a variety of data types. IoT, Streaming Data, and data from traditional systems are commonly deposited into the data lake for reporting. HVR is a solution for moving data from traditional sources into your data lake for real-time updates. 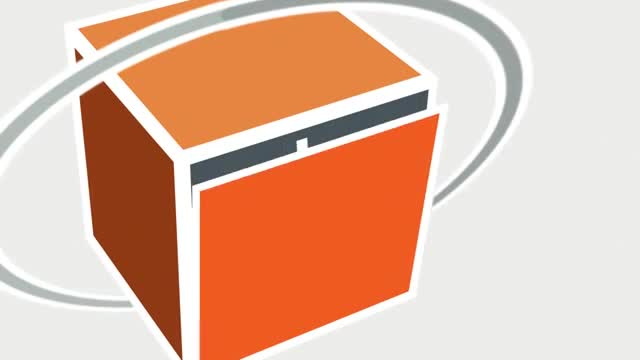 In this video, learn how HVR enables high volume data movement into data lakes. Most of all, HVR includes features that allow you to validate and monitor your data so that you always know that you are sending your teams accurate and reliable reporting data. Learn about the many different ways HVR can move data between systems while keeping the data safe, secure, and accurate. HVR can not only move data from one source system to another but can move data bi-directionally and multi-directionally while maintaining efficiency and accuracy. In this webinar, your hosts, Joe McKendrick, lead analyst at Unisphere Research, and Mark Van de Wiel, CTO at HVR, highlight common pitfalls, key best practices, and success stories in building and maintaining a data lake for big data analytics that you can trust. In this seven minute video, learn about the benefits of Log-Based Change Data Capture and the benefits for real-time data integration. Is your organization adopting the Cloud? Are you involved in any discussions about implementing a Data Lake? In this webinar, HVR experts Joe deBuzna and Mark Van de Wiel provide practical, real-world knowledge about how to integrate data successfully into your cloud-based data lake. They address common cloud and data lake deployment concerns such as: integrating data from multiple sources, moving data securely, validating data and more. This webinar also features a live demo of HVR's latest Data Lake release to continuously move on-prem data into a Data Lake on S3, and programmatically validate data correctness. - Best practices for integration into, out of and between Clouds. Mark Van de Wiel, Philip Russom, Ph.D. Many organizations have a serious interest in data lakes, at the moment, because of the business analytics and new data-driven practices that lakes promise. Yet, these organizations still aren’t quite ready to take a dive into a data lake. Whether they are unable to define standard structures, align and maintain business meanings, or create a governance strategy, these companies struggle to anticipate what truly lies beneath the surface of the data lake. If this sounds familiar, join us and Philip Russom, Ph.D. of TDWI in our webinar about data lakes. Here we will explore five key questions we typically hear about data lakes as well as common myths. Discover how to move forward with confidence, avoid common pitfalls, and build a data lake that provides real business value across the enterprise. Many companies are beginning to acquire IoT data and more external data sets for completely new forms of analytics. These large, external and streaming data sets are a source of insights on their own, but companies are quickly realizing the tremendous value in integrating these with their existing operational systems and databases. This has given way to a set of new architecture patterns and data engineering best practices that are being incorporated into cloud and hybrid-cloud strategies. This presentation explores some of the proven strategies, new technologies and lessons learned from these early pioneers. How do you drive the most value from your data? There is growing attention on the need to process and analyze data in motion. As your business looks to generate additional value from multiple data sources, simply processing historical data is likely not going to be enough, and nor is relying solely on real-time streaming solutions. In this webinar learn how continuous data integration can drive value for your business and gain insights into how leading global organizations have implemented this approach and the impact on their business. Join 451 Research Analyst, Matt Aslett, and HVR’s CTO, Mark Van de Wiel for this discussion with a short Q&A at the end. HVR performs real-time data integration for the enterprise. Our specialty is moving high volumes of data in complex and heterogeneous environments. Data Lake consolidation and Hybrid Cloud integration are common use cases that we solve. Watch our videos produced by our team of industry experts to learn how to integrate your data in real-time efficiently. Our videos include best practices, case studies, data trends and webinar how-tos. Subscribe today and don't miss out!